Happy Friday, everyone! This weekend's look is inspired by the Fourth of July, which is coming up next week! 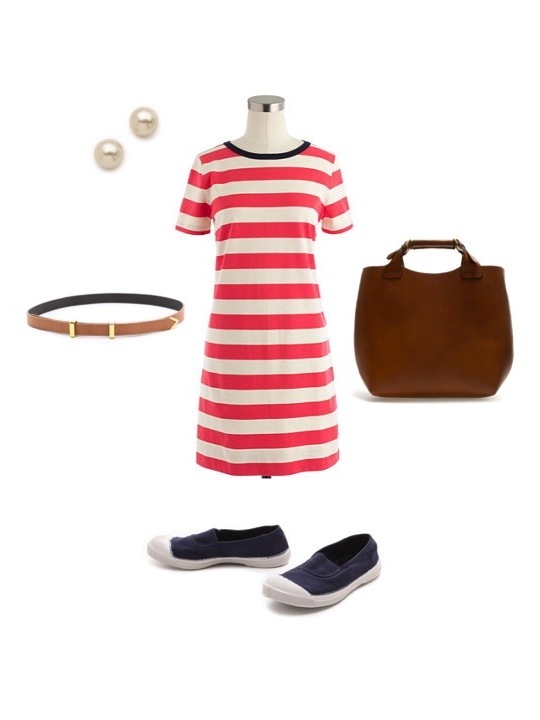 I think this outfit would be perfect for a casual day spent picnicking and enjoying the obligatory fireworks: patriotic colors, easy fabrics, a big bag to stash picnic goodies, and very simple accessories. I'd complete this look with a big sock bun, which has been my go-to hairstyle so far this summer. It's easy, it keeps my hair off my neck in the heat, I don't have to worry about the humidity, and it looks super polished. Do you have any fun plans for the Fourth?